Unless you’ve been living in Africa for the last 15 years — like Mean Girls‘ plucky protagonist, Cady — you probably already know the plot of the Mean Girls musical. It’s about a girl who befriends and then seeks to destroy a group of popular frenemies known as The Plastics, led by the cruel “queen bee” Regina George. Fey adapted her screenplay to the stage, and her husband, composer Jeff Richmond, wrote the score. Tony-winner Casey Nicholaw directed, 30 Rock composer Jeff Richmond did the music and Legally Blonde lyricist Nell Benjamin penned the lyrics. But does the 2004 film work as a 2018 stage musical? Let’s see what critics had to say about the Mean Girls musical. Director-choreographer Casey Nicholaw (direction = 9/10, choreography = 6/10) gets this material. The stage swirls with non-stop traffic, if not perfectly executed dance movement. And Gregg Barnes’s costumes come in vividly clashing colors. The staging is actually too busy, too colorful, too loud, as if Nicholaw doesn’t want us to notice that not much of interest is happening…. Nell Benjamin’s lyrics aren’t half as clever as Fey’s off-the-cuff wisecracks, but they get the job done and are quirky enough to make you listen hard for the good stuff, providing enough payoff lyrics to reward your attention. 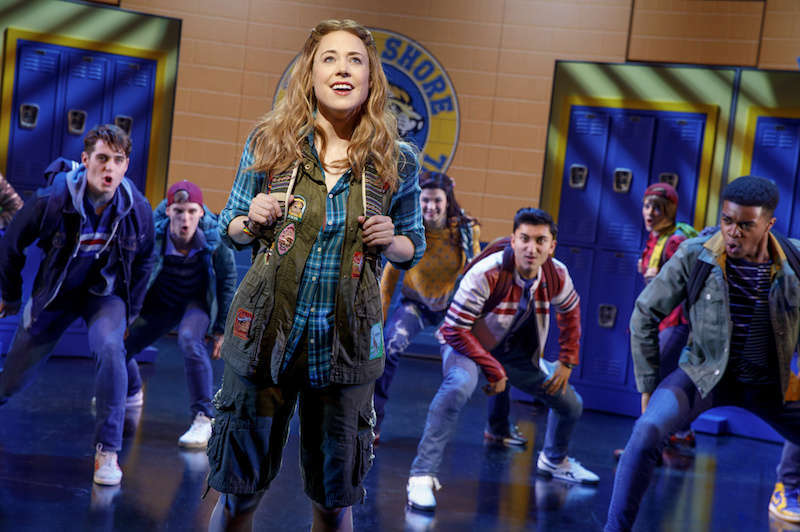 The cast has etched a yearbook full of memorable characters, from Erika Henningsen’s Cady, decent and flawed, to Taylor Louderman’s Regina, a portrayal so commanding in imperial self-importance that she has the audience just where she has her classmates – you can’t take your eyes off her. 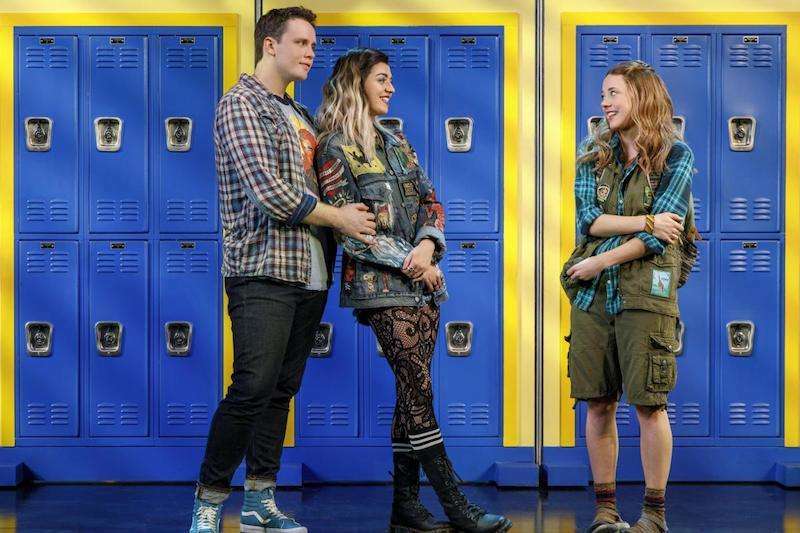 Barrett Wilbert Weed and Grey Henson play the more emotionally developed – not to say angelic – outcasts (Janis and Damian) with that mix of enlightenment and damage that takes one to know one. As the school hunk, Kyle Selig (Aaron) upends our preconceptions (and his singing is as flawless as his hair). No, the trouble lies in the less assured translation of Ms. Fey’s sly take on adolescent social angst into crowd-pleasing song and dance. Mr. Richmond and Ms. Benjamin’s many (many) musical numbers are passable by middle-of-the-road Broadway standards (though Ms. Benjamin’s shoehorned rhymes do not bear close examination)…. The snappy comedy of Fey’s book makes this adaptation of the 2004 movie (which was directed by Mark Waters from a screenplay by Fey) a surprisingly enjoyable and genuinely funny sugar treat with a lot of heart. Enough of the film’s most memorable lines are retained to give fans what they want (“Stop trying to make ‘fetch’ happen!”). But it’s the new gags that freshen the formula, actually improving on the source material’s somewhat soft ending with a more satisfying payoff, while still pushing the broadside against bullying, bitchiness and unhealthy peer pressure. 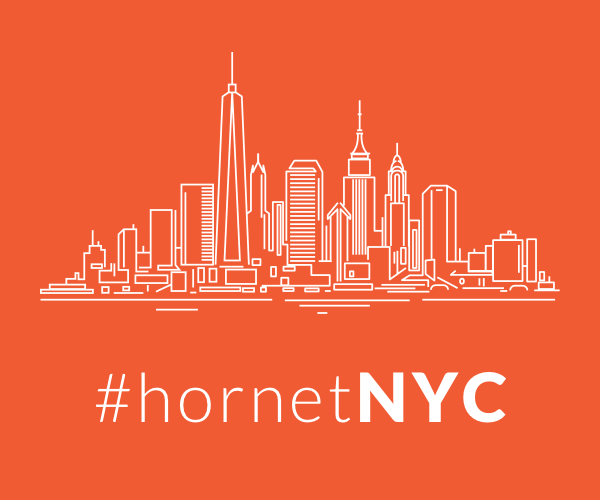 The updates to the era of smartphones and social media are clever and relevant. But the real key to the show’s success is its attention to the secondary characters, both in the writing and in the performances of an appealing cast. Funny Mean Girls certainly is, on screen and onstage; fresh it’s not…. The dances, in particular, represent some of Nicholaw’s most indistinct work: Most of them are composed of seemingly free-styling teens performing athletic moves that fill the stage with energy but rarely cohere into compelling patterns…. But while Richmond has a natural gift for creating perky Broadway-pop melodies, none of the songs in Mean Girls is likely to become the kind of breakout “hit” that can muster outsized enthusiasm for a Broadway musical. 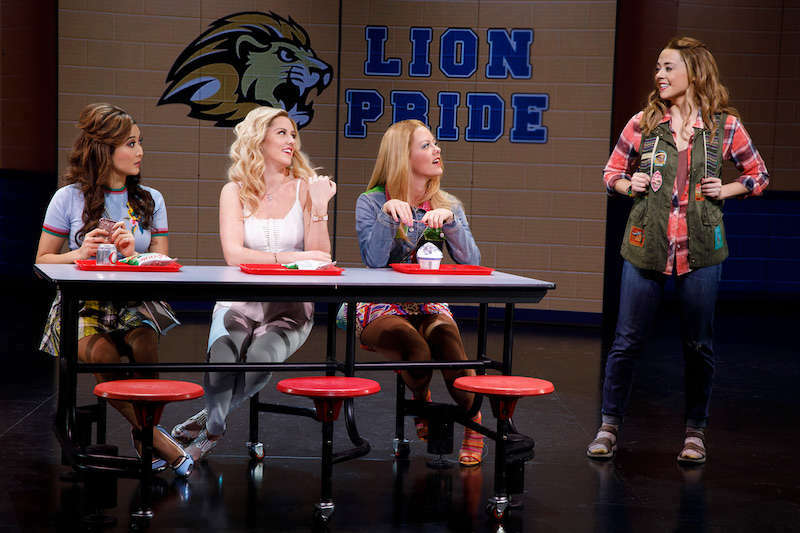 Will you be seeing the Mean Girls musical on Broadway? Sound off in the comments.